UK Boxer Rescue View other Boxers for adoption. [Read About Natural Incontinence Care] [Read About Natural Seizure Care] [Read About Natural Cancer Care] Skinny Boxer tied to tree and needs rescue. 'Bones' is a boxer mix boy who is VERY friendly and happy go lucky. 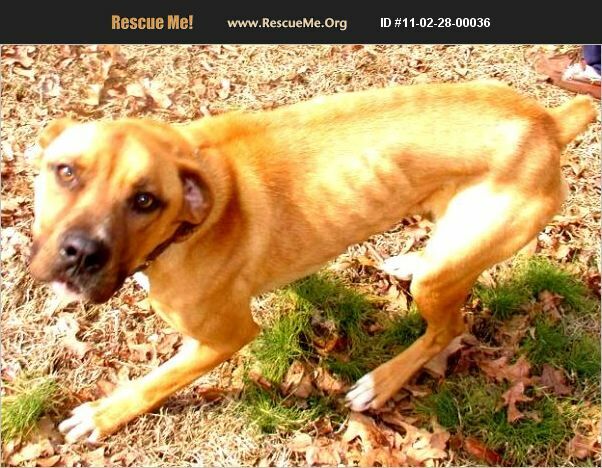 He was dumped off in a cul-de-sac and is now living chained to a tree until a home can be found. The man who saw it happen, took him to his home but Bones keeps jumping out of his chain link fence. He lives 2 houses off of Highway 92! So Bones temporarily spends his days tied to the tree out back but is allowed inside at night. He has been allowed in the house for short periods and seems housebroken. The man who has him will pay for neutering. Can anyone help this boy? The man can keep him temporarily but not for much longer because of the fence issue! Transport coordination is offered.